The Two Hoot Double Bubble is an innovative dual use device! Use with the supplied Titanium or Ceramic Straws and teat the end with a torch, then touching the hot end to your concentrate while inhaling! 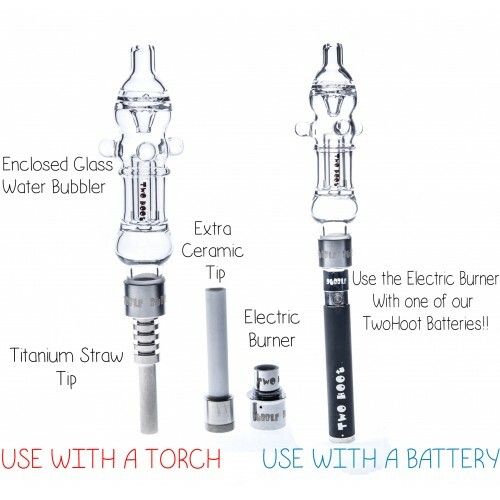 Or unlock true portability with the supplied Electric Burner with a Two Hoot Battery (Sold Separately) for a dab bubbler on the go! The Double Bubbler is our most innovative way to keep you Dabbing in Style!